So the other day, I realized that I haven’t properly introduced myself here at the blog. But sewing, now that, that was in my heart, you can say that sewing was in my blood, both my mother and grandmother were seamstress for many years. I remember sitting beside them wanting to learn their techniques and bugging them to let me have a go at it. I still remember how as a young child I would design my Barbie clothes from scraps of old clothing, and old socks. When I became a teen I wanted to be unique and trendy, therefore I began to modify my t-shirts and I would refashion my clothing. 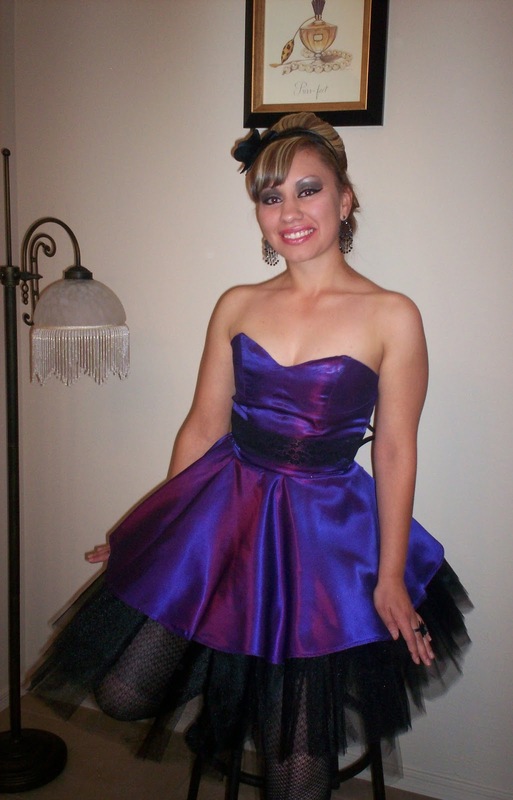 After graduating high school I enrolled into Phoenix College to study Fashion Design to pursue my dream. I initially wanted to work for an apparel company or for an independent designer. At this point in my life I was hungry for knowledge and wanted to get the feel for what the fashion world was truly about. Considering I lived in Phoenix, definitely not the Fashion Capitol of anywhere, things were not looking so good. I knew that moving was an option but at the same time I felt like I had a better shot here in Phoenix. Not only that I have the most supportive fiancé and family members who truly believe in me and have kept me going and pushing me to fully reach my potential. That’s when I realized that I had to make a name for myself right here where I was and Lollipop Couture was born. I started expanding my portfolio by working on mini collections and making custom made garments. Being a DIY type Gal, I felt an incredible amount of stress as I found myself wearing all types of hats ( like the recent post office commercial) from web developer, graphic designer, photographer, etc and all of this while working on my collections. It has not been an easy journey, but I am wiling and determined to go after my dream. So this blog is intended to document my ongoing journey as a Fashion Designer. I will document the good, the bad, give you Fashion advice and share interesting things I may come across. Also, I plan to give you a glimpse of “Behind the Seams” how it all goes down, as well as let you get inside my head and read my thoughts in “Diary of a Fashion Designer.” So welcome to my journey and hope you enjoy every bit of it!! !